Coaching points: 1 Touch teaches vision and awareness. It will look sloppy but have them do this for 5-7 minutes. And keep bring up good coaching points: Peaking, movement off the ball and support are the big three. Address coaching points between each progression. Peaking, receiving hips open, weight of pass. 1) 5 passes = 1 point. 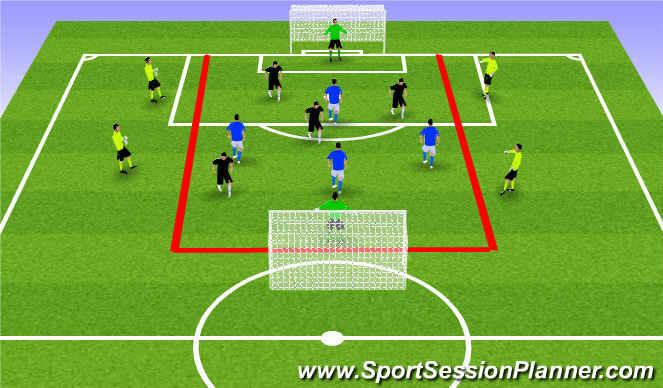 3) Get one point everytime you do a combination (wall-pass, third man run,) with your team. Coaching points: What should you do after you pass the ball? (introduce 3 step rule) Must pass and move. 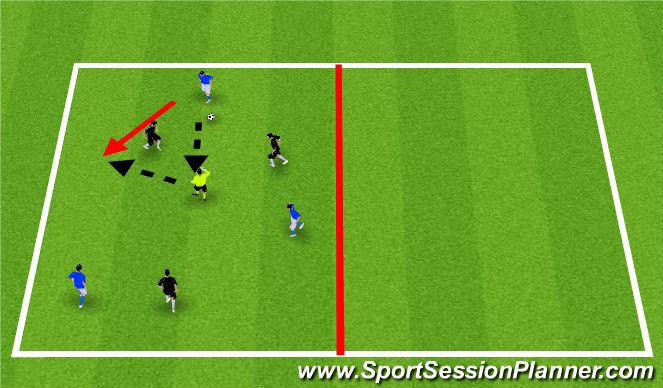 When you perform combination play, need to face up defender and pass and move around them. * Can tweak numbers to accomodate 16 or 12 players. 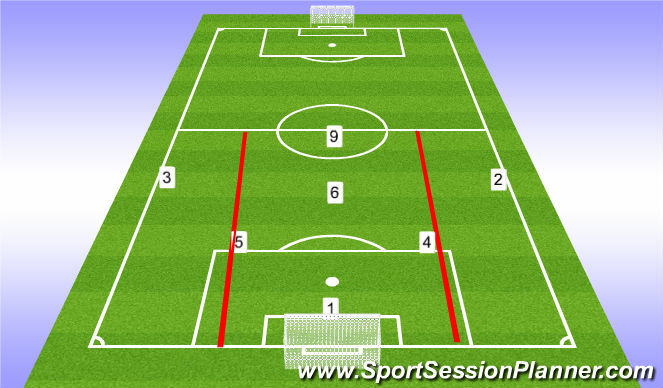 7v7 or 9v9 Game wiith Wide zones. If players can&apos;t go forward, look to go wide. Channels help give players visual for width.